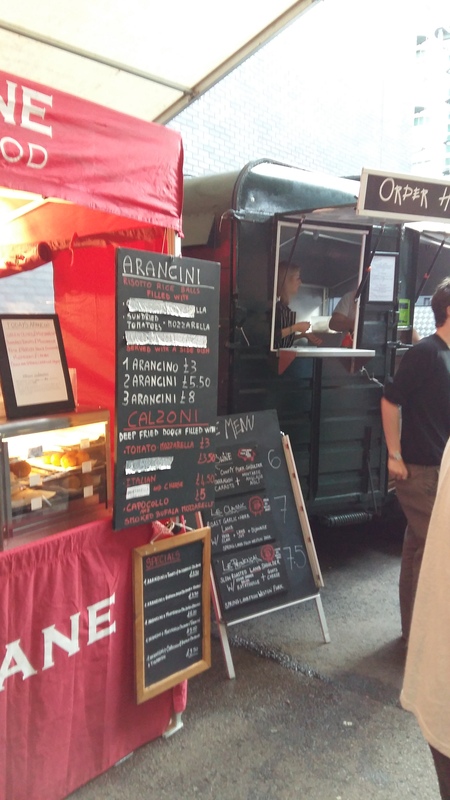 After last week’s tum tickling fabulousness, we decided to head to DDC again on Friday to sample the delights of some food vendors we hadn’t tried before. 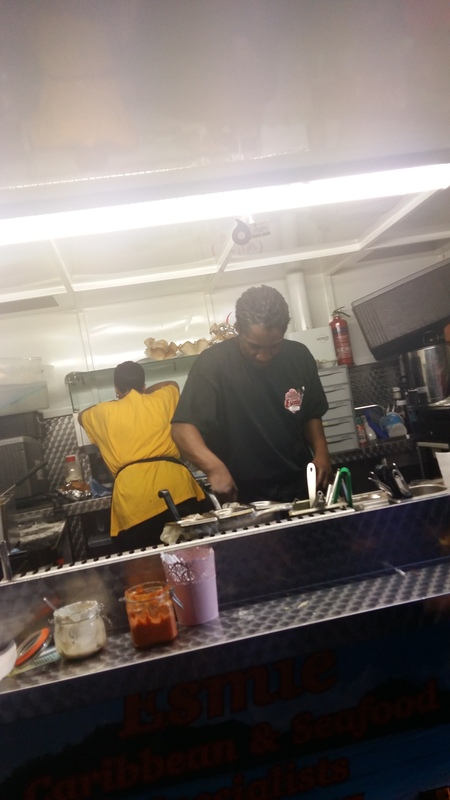 My husband classes a good burger as right up there in terms of his favourite food items, and the Original Patty Men recently won a UK burger battle challenge which was held in Birmingham, so their wares were on his must try list. Obviously lots of other people had the same idea, because when we got there at around 7.15 the queue for their stall was huge. It didn’t look huge, until you got closer and realised they’d put metal barriers out so people were snaking round and round like a queue for the funfair. And then, when you got to the front to place your order, you were given a ticket and had another 10-15 minute wait after that. All in all we waited an hour and 20 minutes to get our mitts on a burger. Although it was payday, so probably more people out than usual, but still. 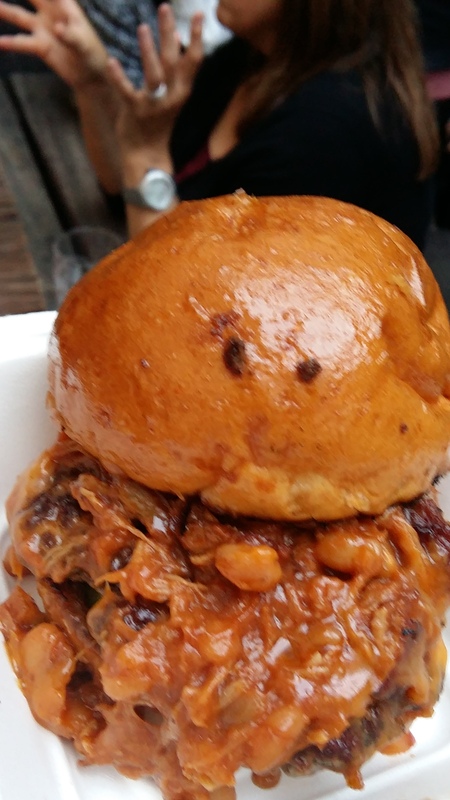 I had a Bean Bean King – burger topped with pulled pork and spicy beans and cheese. I was all up for trying their Krispy Kreme burger (basically a glazed doughnut in place of the bun) but they’d already sold out by the time we were half way through the queue. Other choices seemed fairly tame compared to what I’ve seen on offer before, which was a shame considering they’re known for unusual and innovative toppings. Was it worth the wait? Well, in my opinion nothing is worth waiting that long for. It was good, it was tasty, it was fresh and juicy and well cooked. 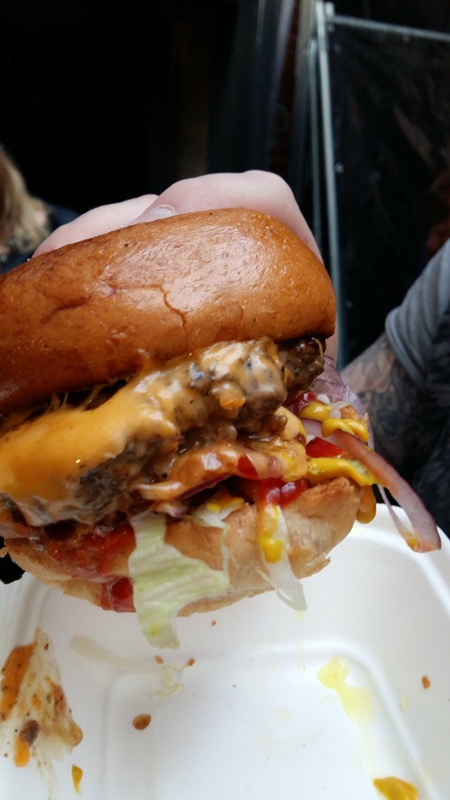 The burger bun was sturdy enough to hold the contents and the flavours worked well together. But really, an hour and a half? I’d say Original Patty Men have become a victim of their own success. And obviously that’s not their fault in any way. But queuing for that long on a Friday night (or any night) is just daft. Although the burger was very good. Husband had a bacon cheeseburger – the bacon being flavoured with maple. And here it is! 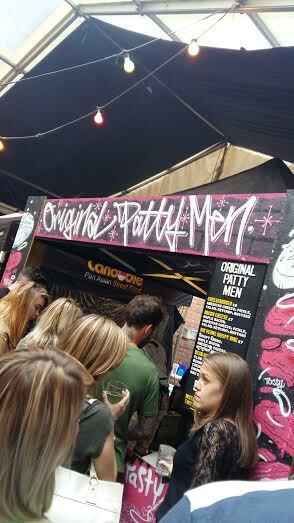 The queue was so long that I used the time as an opportunity to grab something from one of the other stalls. 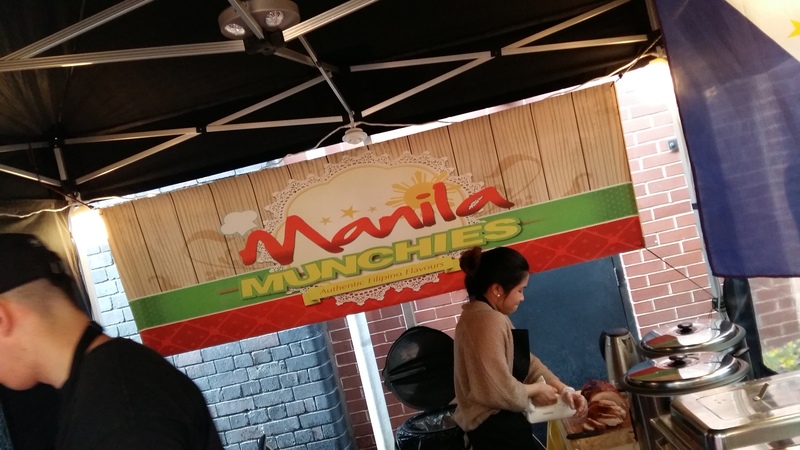 Manila Munchies serve Filipino street food. The menu looked good, with 4 different offerings (including one vegetarian). I opted for the pork liempo, which was slow cooked belly pork in spicy sauce served with rice and vegetables. 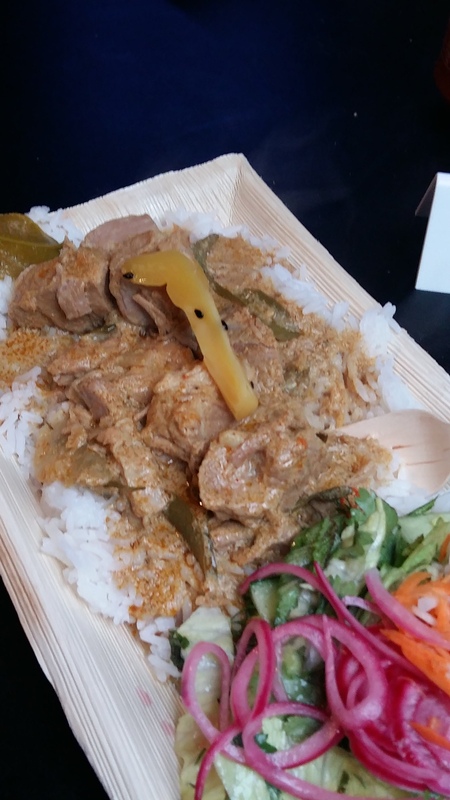 Finally I returned to Canoodle for more tasty goodness following the success of the previous week, this time trying their Sri Lankan pork curry. Being on different food wavelengths (as in I’d had three dishes to husband’s two) he wanted one more thing, and decided on Esmie’s. 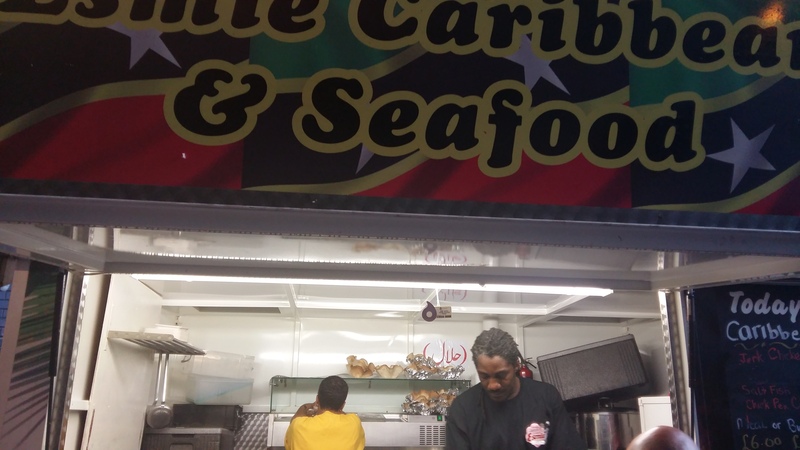 The queues for this Caribbean food vendor had been consistently long all night and he was drawn in by the scallops. They were in a tortilla bowl (an edible dish, brilliant!) on a bed of rice with asparagus spears and he also ordered fried plantain. Naturally I had to try it, purely in the interests of research, and it was delish. 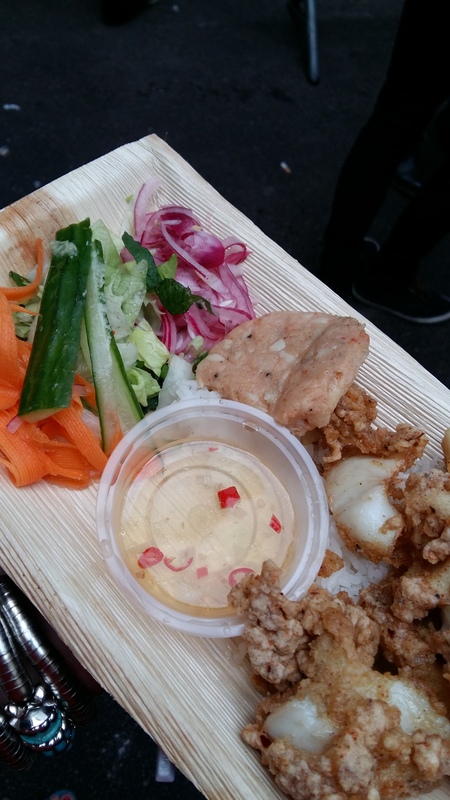 A few people had been caught out by the hot sauce which they’d smothered all over their meals and then had to counteract with lots of cooling yoghurt sauce, but by exercising caution the kick of the dressing was a delicious accompaniment to the subtle seafood. 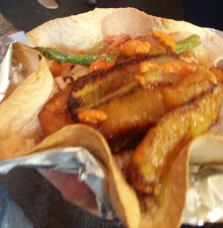 Pricewise: burgers were £7 each, Manila Munchies Pork Liempo was £7, Canoodle’s Sri Lankan pork curry was £6.50 and the Caribbean scallops were £7, plus £2 for fried plantain. Not cheap, but certainly good quality and cooked right in front of you. Common sense has prevailed in America. Brilliant. 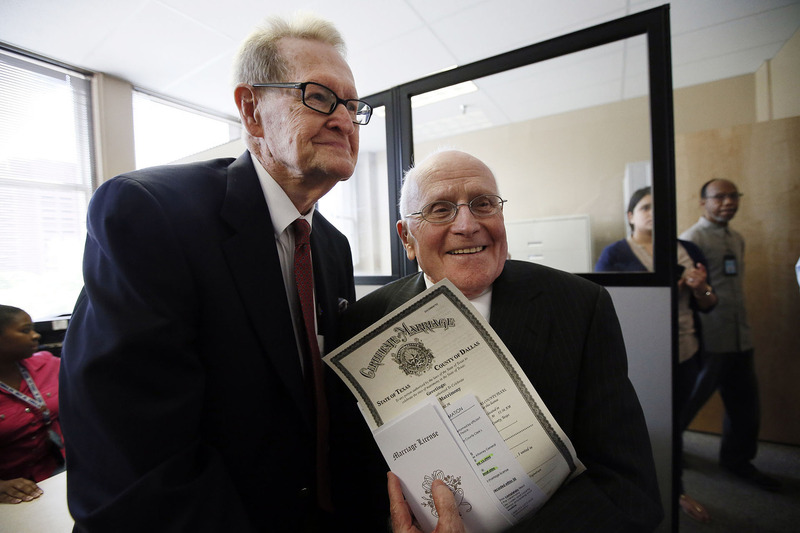 Brilliant for the couples who can now cement their love for each other when they’ve previously been forbidden. Brilliant for the couples who will now enjoy equal rights around insurance, welfare and health in relation to their partners. Brilliant that a few rogue states with delusions of power have been firmly put in their place and over ruled. 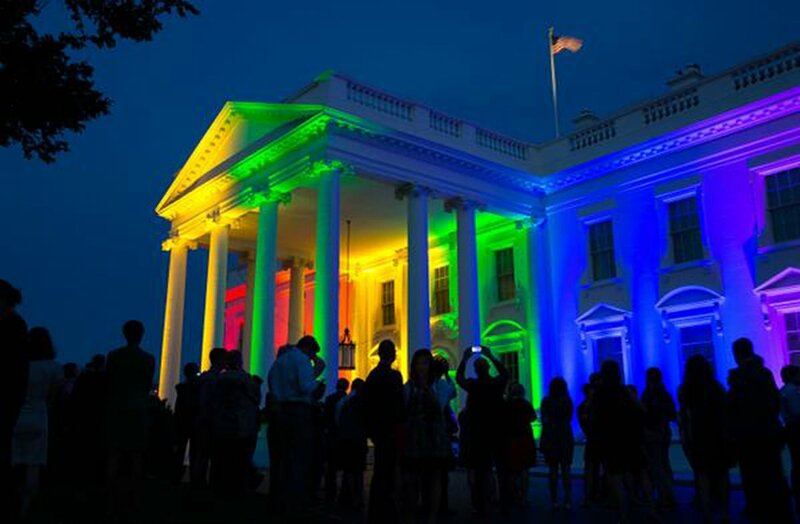 Brilliant that the Whitehouse was bathed in multi-coloured lights to celebrate such a momentous decision. 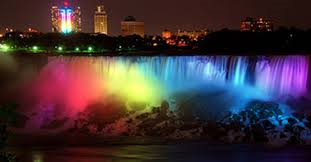 Brilliant that Niagra Falls followed suit. 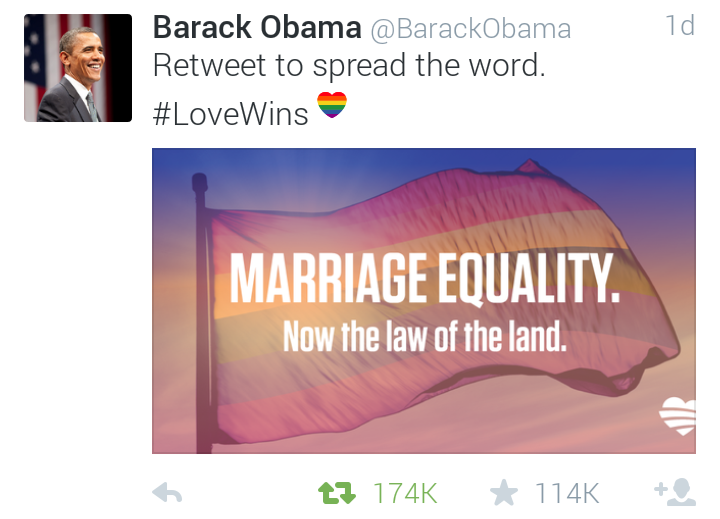 Brilliant that President Obama tweeted about it. 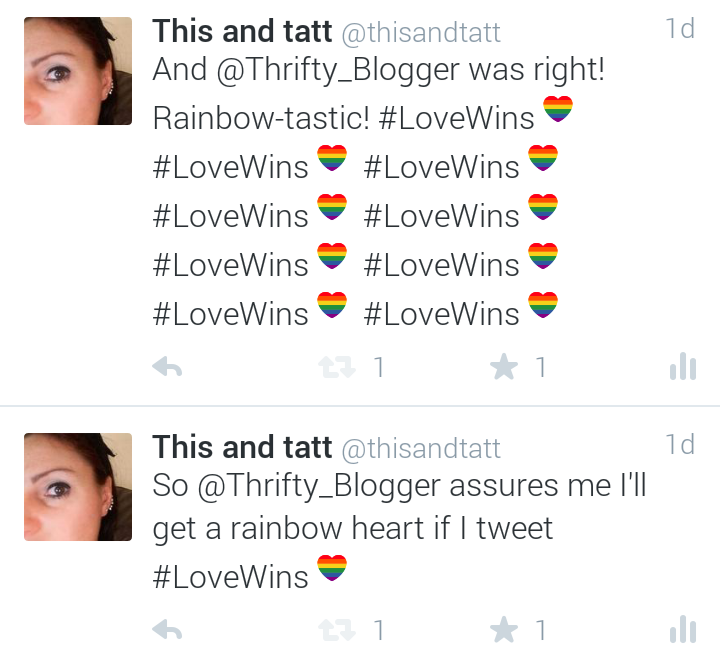 Brilliant that Twitter had a hashtag with a rainbow heart. 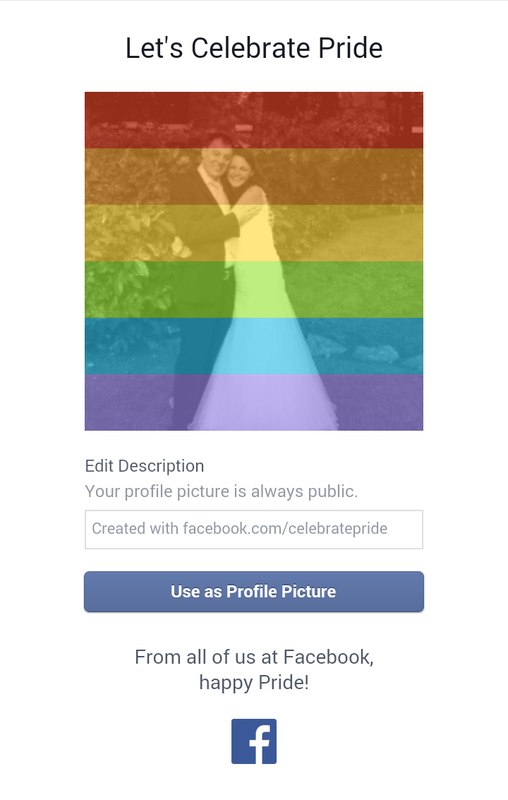 Brilliant that Facebook had an app to change your profile picture to a rainbow version. …who then furiously backpeddled because he didn’t really mean it (roll eyes). 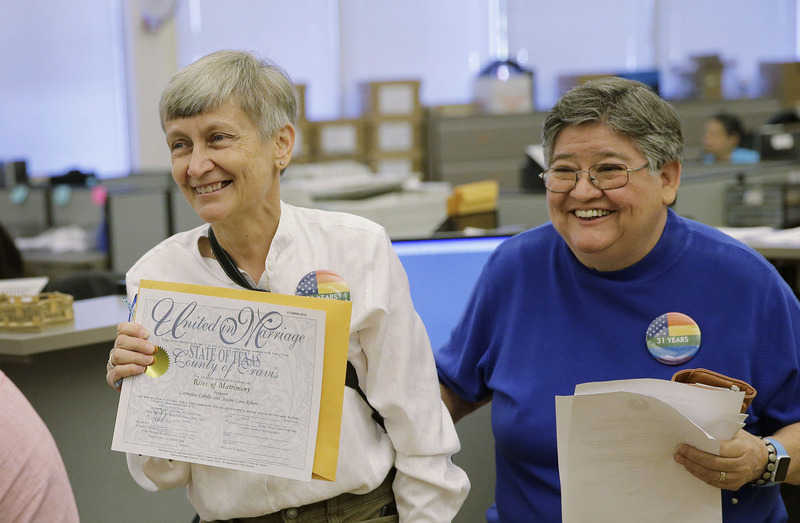 But this story here, with pictures, sums up what it’s all about – marriages that took place immediately after the ruling that would have previously been impossible. Who can deny love like this? 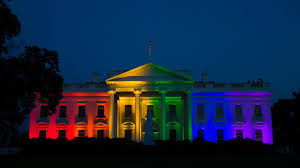 Of course the fact that a decision got made by 9 individuals in the Supreme Court is ridiculous. But that’s a whole other story. Had the decision gone the other way then I’d have been more vocal about the process. 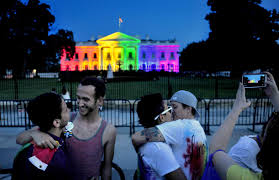 All that matters is that love wins. 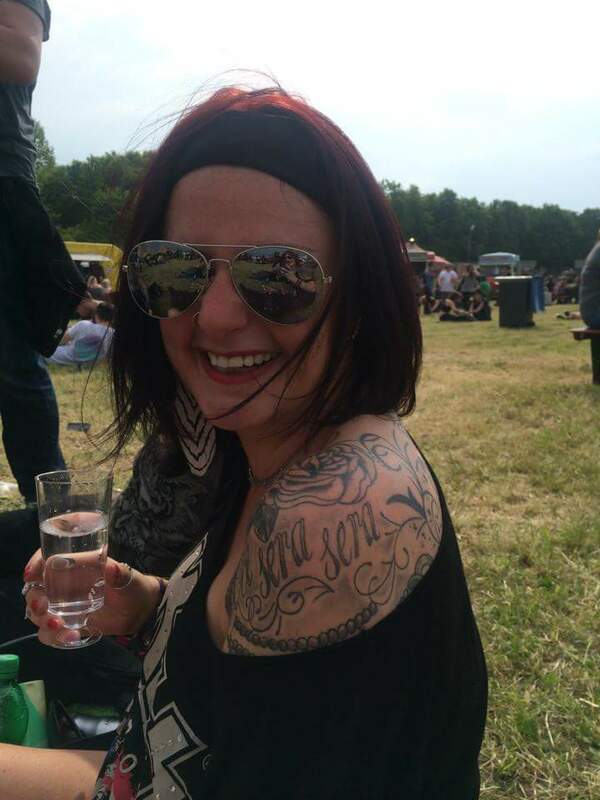 In honour of the immortal line in Girls Girls Girls by Motley Crue (because I have bought tickets for their last EVER tour), and also because it’s a combination I’ve worn a lot recently, here’s a post about my favourite red lipstick and red nail polish. I mentioned a couple of weeks back how dry my lips get and how I’ve been using Nivea lip balms to great effect. Because my lips were in good shape I wanted to venture into red lipstick territory again. It’s such a bold and in your face look and I love to see it on other people. I haven’t used lipstick for ages, mainly due to longevity issues (it wears off so quickly! 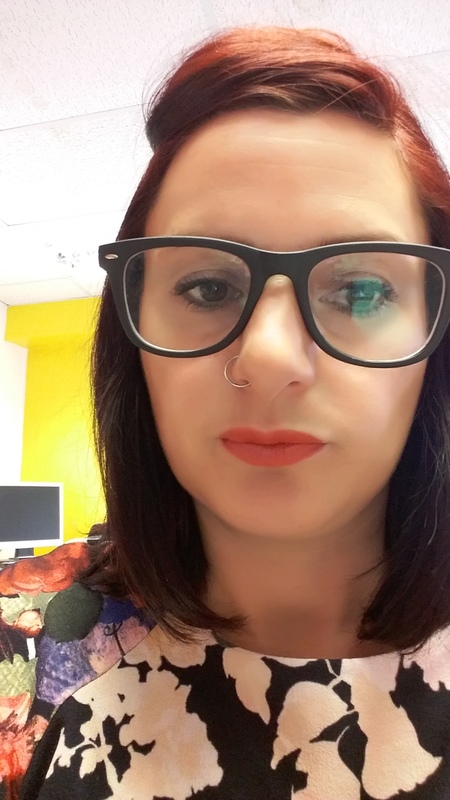 ), so instead have used lipstains (literally like a red felt tip pen) or coloured lip balms (which give a sheer coverage) – neither of which give me the texture and colour I was looking for. 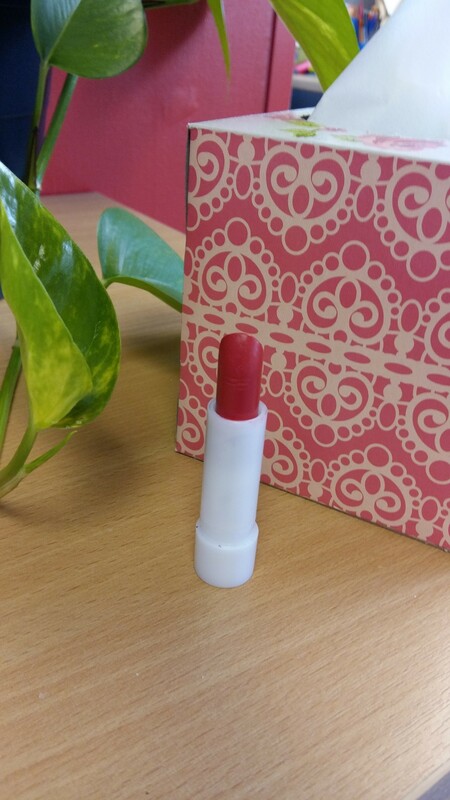 Because I didn’t want to waste oodles of money on yet another lipstick that will sit in the drawer unused, I went in at the very low end – Natural Collection Moisture Shine by Boots in Crimson, just £1.99. I didn’t have high expectations for the colour or the texture, because I find lipsticks very drying and thought I wouldn’t wear it much. But I’ve been amazed! 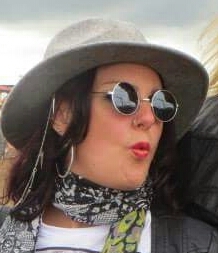 I wore it constantly over Download weekend from Friday to Sunday and my lips were in great condition – despite being subjected to wind, rain and sunshine. 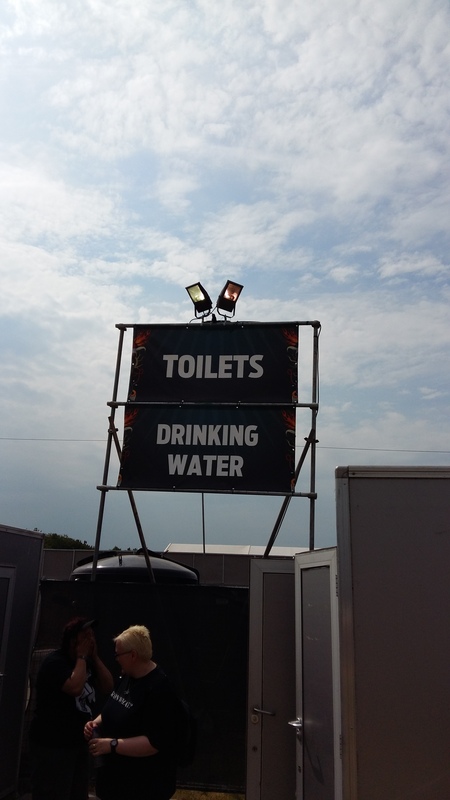 What’s more, I didn’t really need to re-apply it very often, in spite of pretty much constant drinking and eating throughout the day. 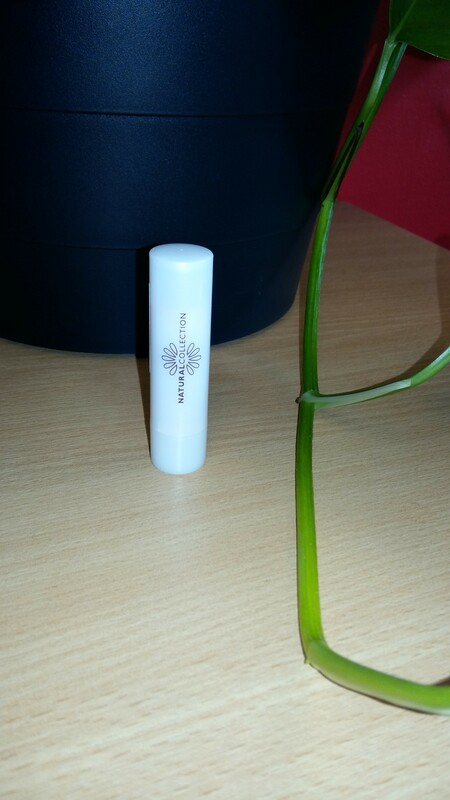 It’s very creamy to apply, glides on the lips, and doesn’t feel claggy or drying when it’s on. 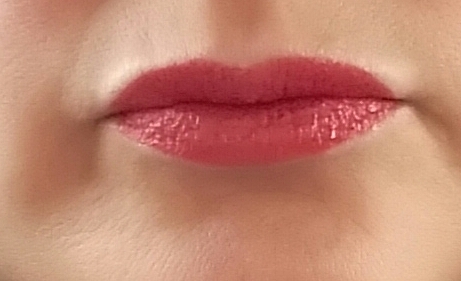 It retains enough glide to be able to rub your lips together comfortably and is a vibrant bright orange tinted red. I’d be mega impressed with this even if it was high end (not that I buy high end, tight madam that I am!) But for the price it’s unbelievable. It also means I won’t have to cry if when I lose it, which I invariably will. On the fingertips (and toes) front I very rarely move away from red. It’s just so easy and fun to wear, goes with pretty much everything, and is a classic. 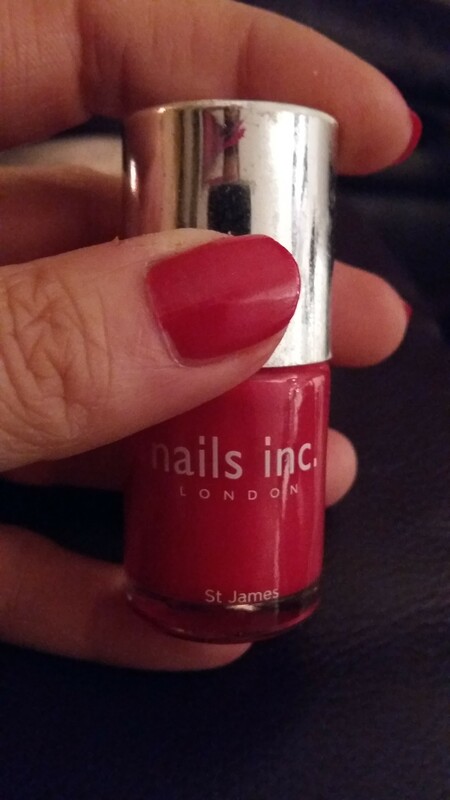 My favourite red (indeed the only red I use now) is Nails Inc. St James. It was a freebie with a magazine and is my go to nail colour. Vibrant and bright, you can (just about) get away with one coat and it dries pretty quickly (a bonus for me, because I usually quickly paint my nails on my way out of the door or even in the taxi, shock horror!). I’m pretty slovenly with nail varnish, and am usually sporting some variation of chipped/worn off colour on the occasion I don’t have bare nails, but I do find the longevity on this Nails Inc one is pretty good and the brush is a good size for applying. I did, however, realise just how many nail varnishes I have when I was packing for Download (I was looking for something a bit different, but ended up with…red). Maybe I’ll dig some out and mix it up a bit! 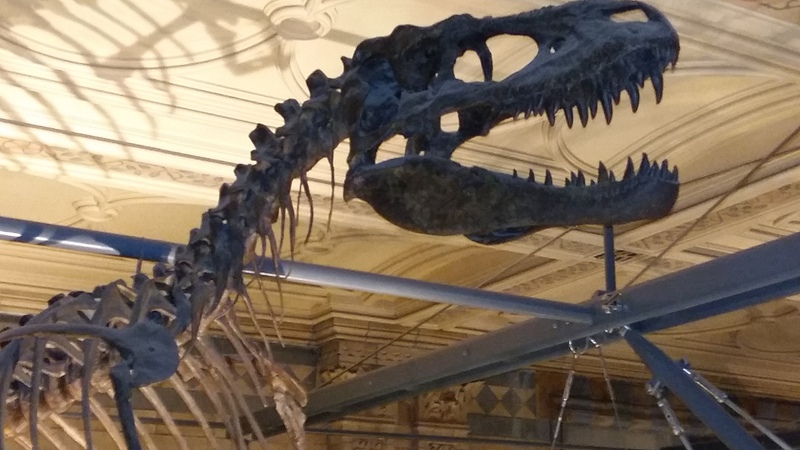 I thought I’d post some topical pictures (as topical as they can be, when they’re about a subject matter that’s millions of years old!) 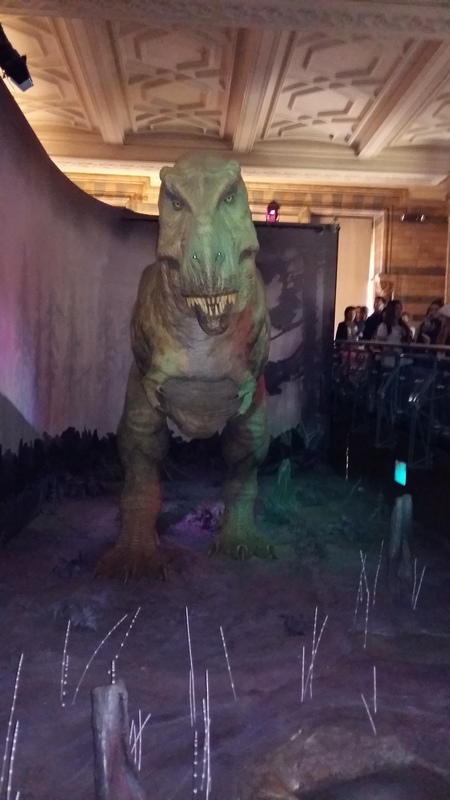 But with Jurassic World being released at the cinema (which, incidentally, I’ve been told is rubbish) it reminded me of my brief but interesting visit to the Natural History Museum. A couple of months back I had a meeting in London which finished waaaay earlier than expected, but I’d got a pre-booked cheap return train ticket so I had some time to kill. 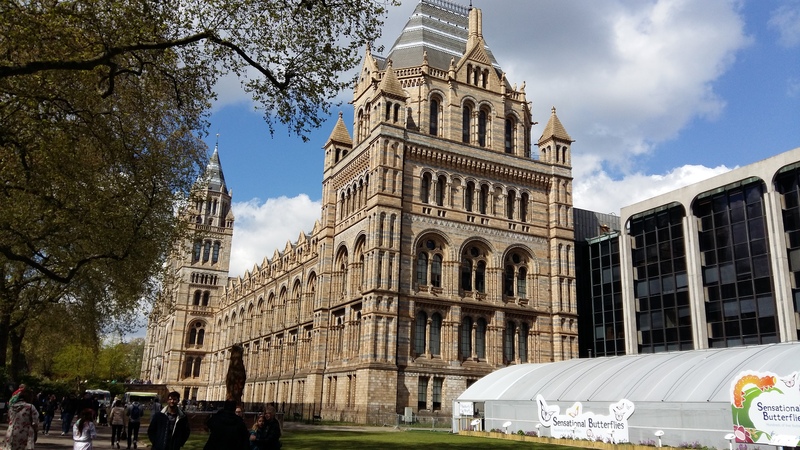 Embarrassingly, I’ve never actually been to the Natural History Museum. 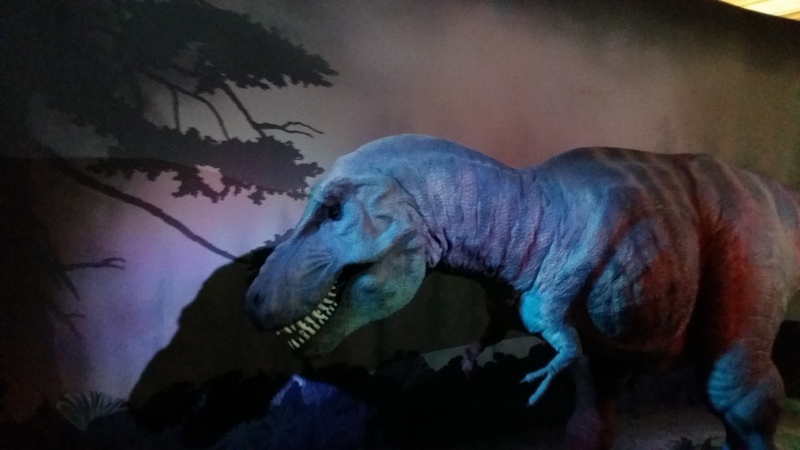 So I decided to poke my head in and have a quick look at the dinosaur exhibition. My initial surprise was just how fabulous the building is. Wow! I love decoration for decoration’s sake. 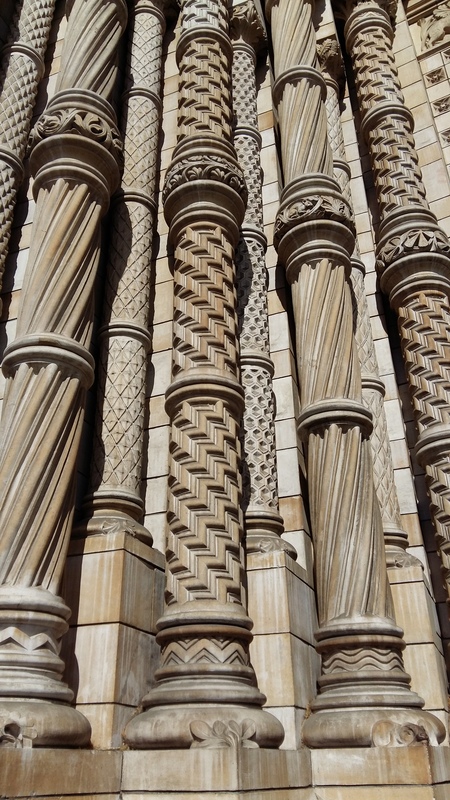 Look at the detail on those pillars around the entrance. 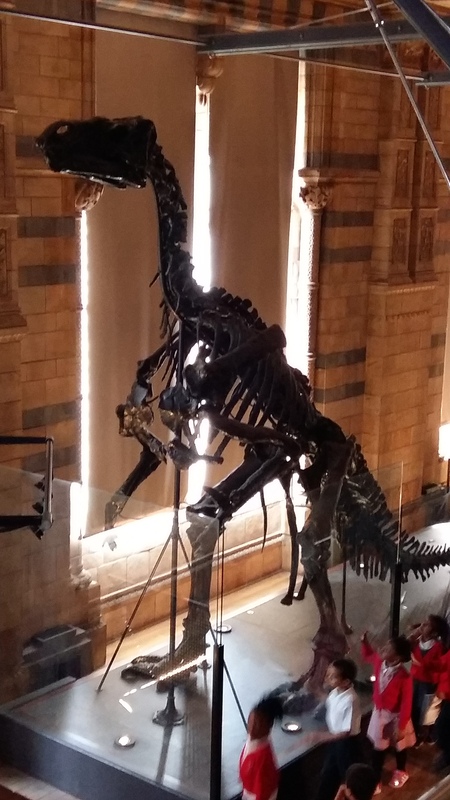 Of course the big thing as you enter the Natural History Museum and what I really wanted to see is the model of Diplodocus. So big I could barely fit it all on one photo! Absolutely amazing and well worth dropping in for that alone. 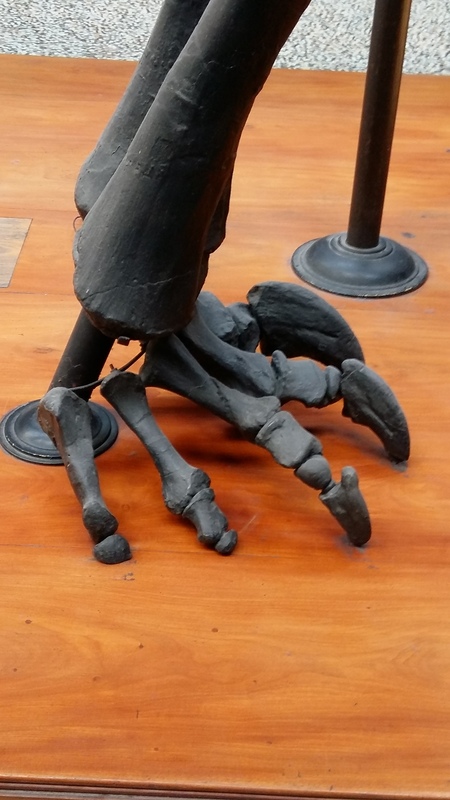 Look at the size of its feet. 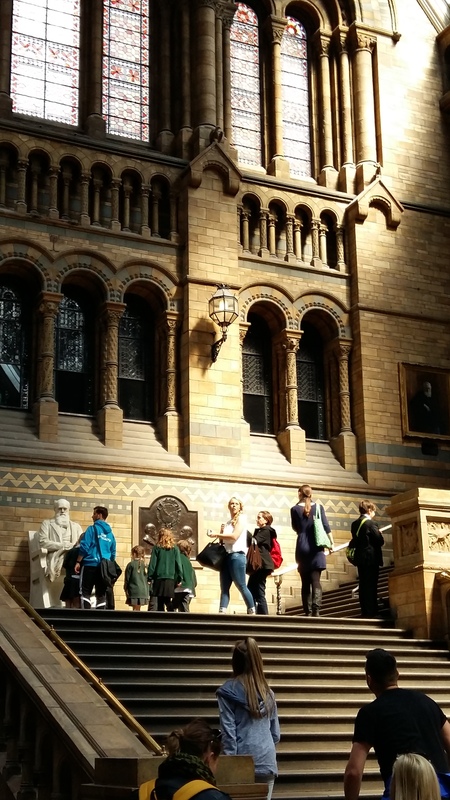 The inside of the main entrance hall is a huge cavernous space, bathed in light from the big windows. 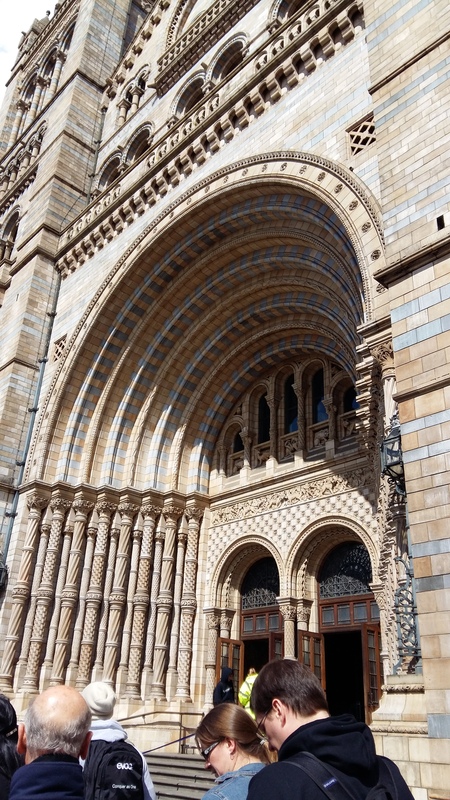 Such a fabulous building. 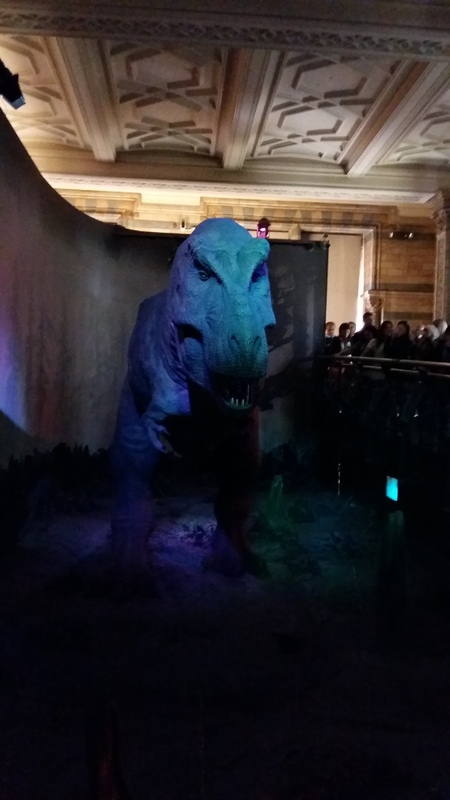 The dinosaur exhibit is free, and I imagine will be getting a whole load of visitors following the release of the film. 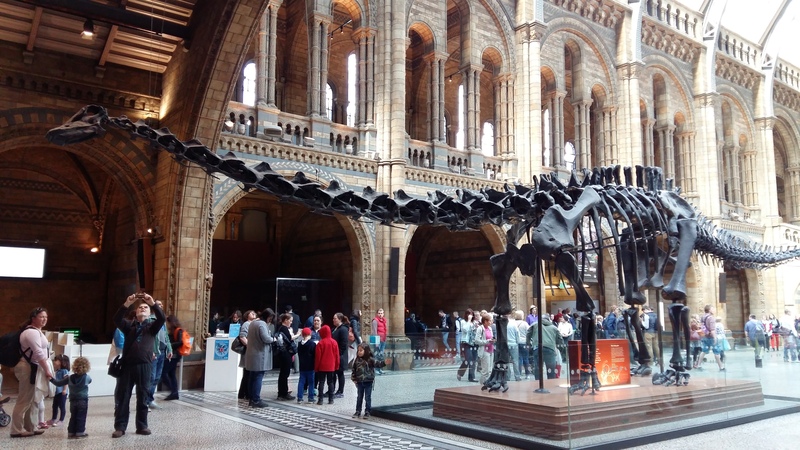 Plus, with summer holidays coming, it’s a great place to entertain and educate the kids. I’m slightly child phobic (the noise that they make, especially as a collective, goes right through me) and, despite it being after the Easter holidays, there was quite a large number of them there with parents and schools. Time constraints were therefore not the only reason my visit wasn’t of the lingering variety! 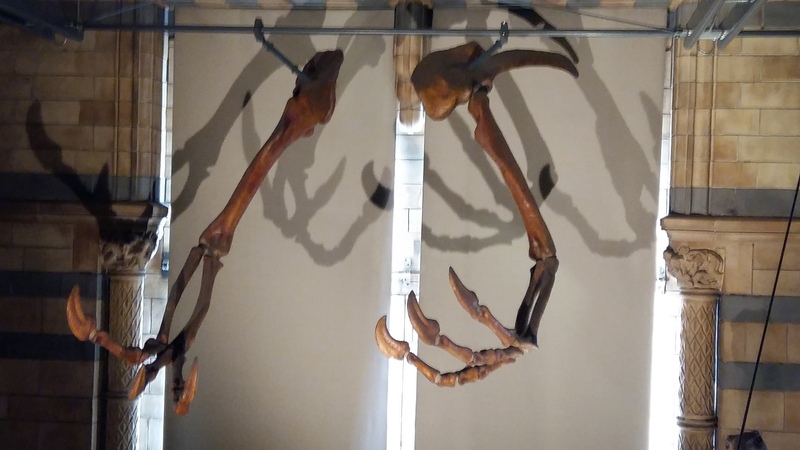 I did get to see some cool stuff and snap some pics though. 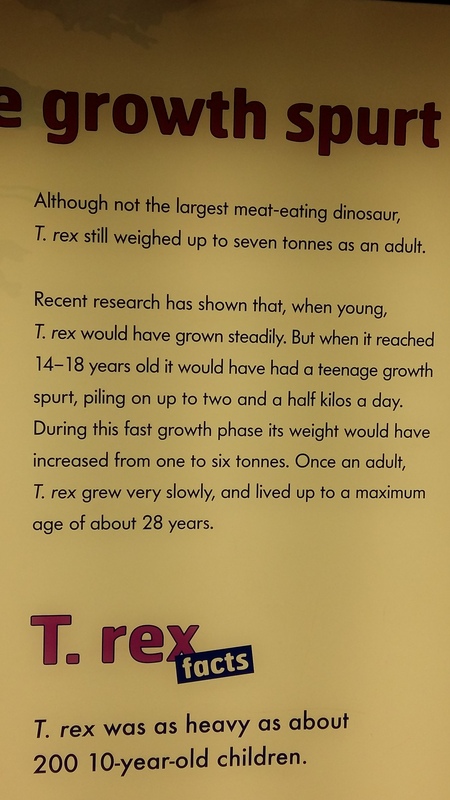 Some days I feel like I’m having a T-Rex growth spurt! There was a life size moving model that was rather atmospheric. And so my brief but box ticking visit was over. Short but good! 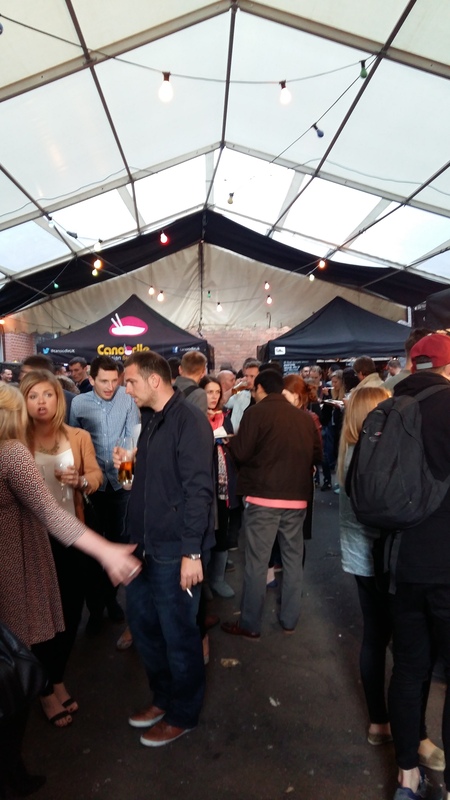 On Friday evening we made a last minute decision to head to Digbeth Dining Club for food and drinks. It’s been a couple of months since we were last there and there were some vendors we hadn’t tried before, so off we popped into the sunshine armed with hungry tummies! 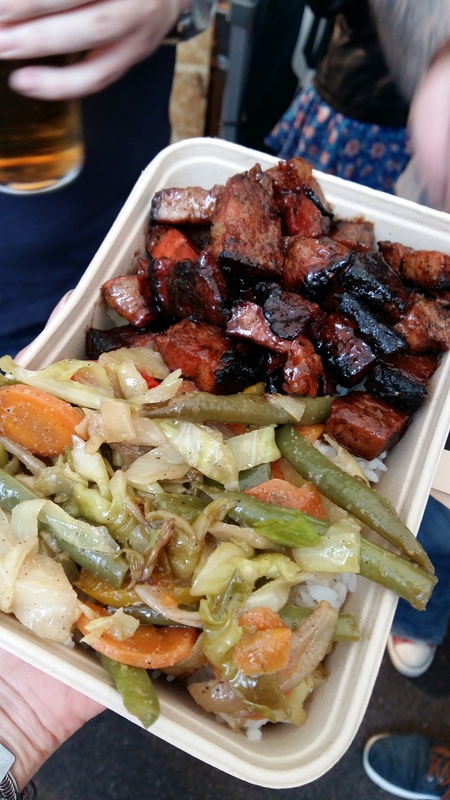 Low ‘n’ Slow’s offerings are all based around slow cooked barbecue meat. Brisket cooked for 24 hours, baby back ribs, the most tender pulled pork – this guy knows his meat. He’s also made “baconaise” a thing – triple oak smoked bacon mayonnaise which is used as a dressing on burgers. I mean, I don’t even like mayonnaise, but I would bathe in that stuff. We headed straight to the Low ‘n’ Slow area and ordered. Husband went for a chilli beef brisket burger; I tried to get a picture but he was too quick for me. Judging from the looks on his face and the yummy noises he was making, it was very good! (he confirmed as much afterwards). I ordered pig cheek tacos. Delish! 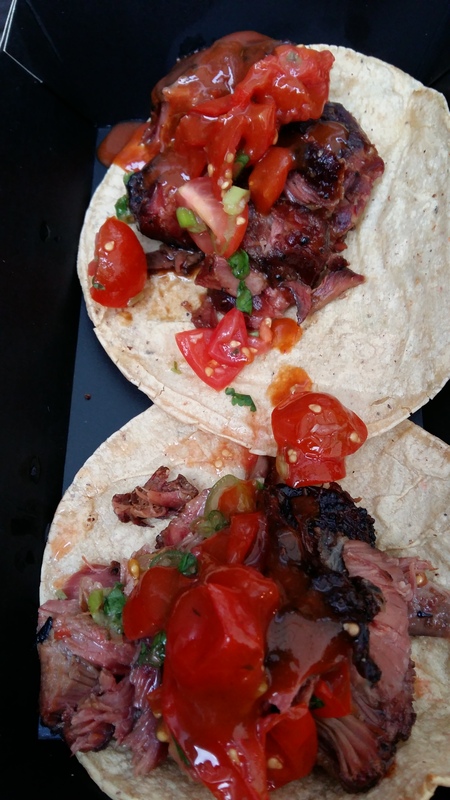 Tender juicy smoked meat with spicy sauce and fresh tomatoes, served up on fresh soft tacos. I’ve never had pig cheek before but I’d definitely have it again. Such a lovely texture, a firmness that melts in the mouth, and a sweetness from the dressing. Next stop was Canoodle. Their pan Asian menu was one of the reasons I wanted to go on Friday night. Unable to decide what I wanted, I coerced husband into having one thing and me having another so I got the best of both worlds! He ordered Malaysian Beef Rendang with soured mango, and I had Chilli Pepper Squid with Vietnamese dipping sauce. Both dishes were served with steamed jasmine rice and pickled vegetables. The rice alone was fragrant and delicious, I’d have eaten a plate of it with no sauce! We both expressed concern about the pickled vegetables before we tried them, but their sharp crunch were a perfect foil to the spicy falvours of both dishes. 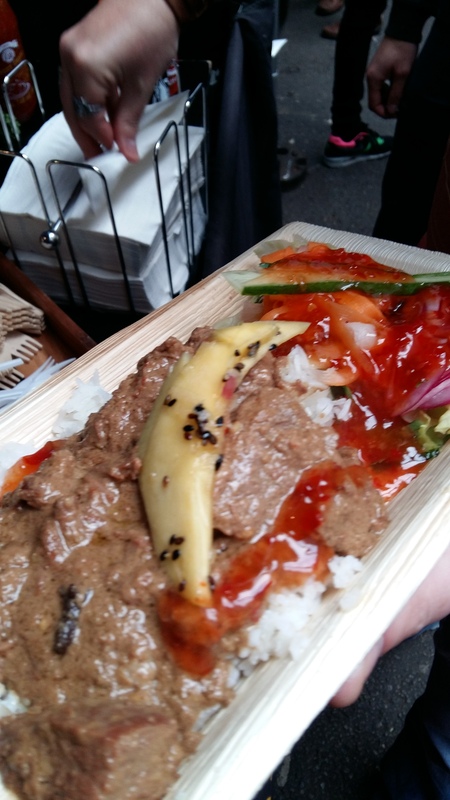 Malaysian Beef Rendang was a delight – thick rich sauce with tender chunks of beef; loads of meat and really really tasty. Chilli Pepper Squid was amazing. The thickest most succulent pieces of squid I’ve ever seen (or eaten) in a light batter, with a sweet chilli dipping sauce. Squid can be very hit and miss, and if not cooked well can resemble tyre rubber, but this was a joy. And then, something terrible happened. We were both full up! No room for even another dish between us. Gutted! 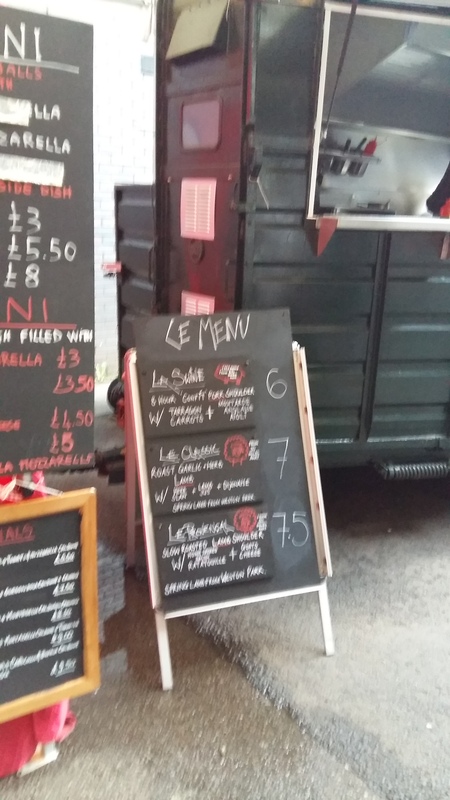 I had hoped to have a burrito from Habanero Café, and then also spotted a new vendor – La Grande Viande – who had the most tantalising sounding lamb dishes, but stomach said no. 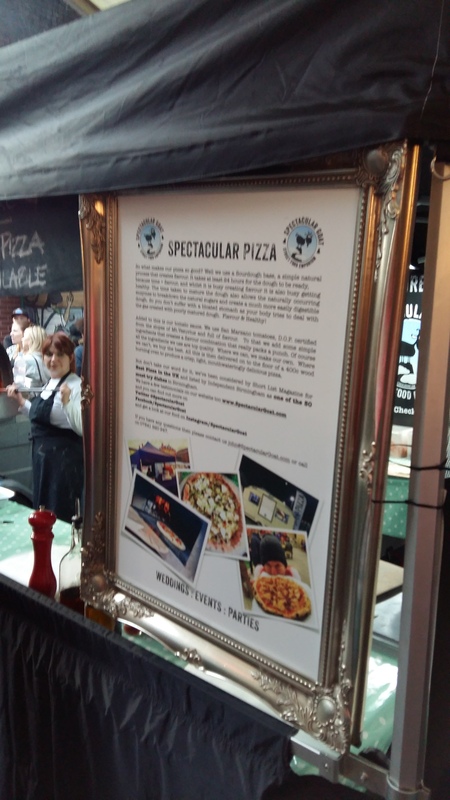 Also on site were Spectacular Goat pizzas and Delizie Italiane. 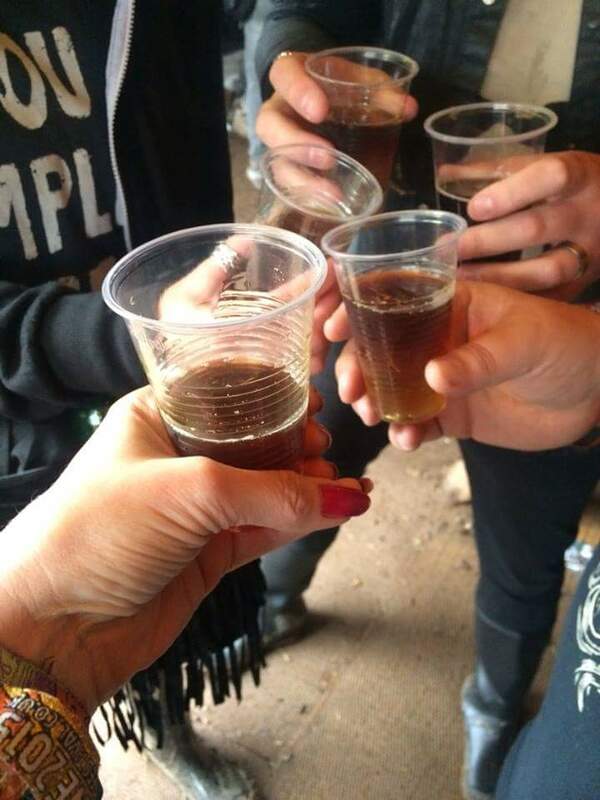 Only one thing for it – go back again soon. How terrible for us! 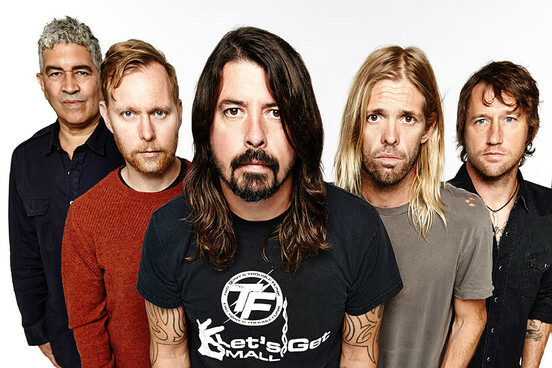 So the Foo Fighters have cancelled the rest of their European tour, including Saturday’s Wembley gig which I have tickets for. I kind of have mixed feelings. 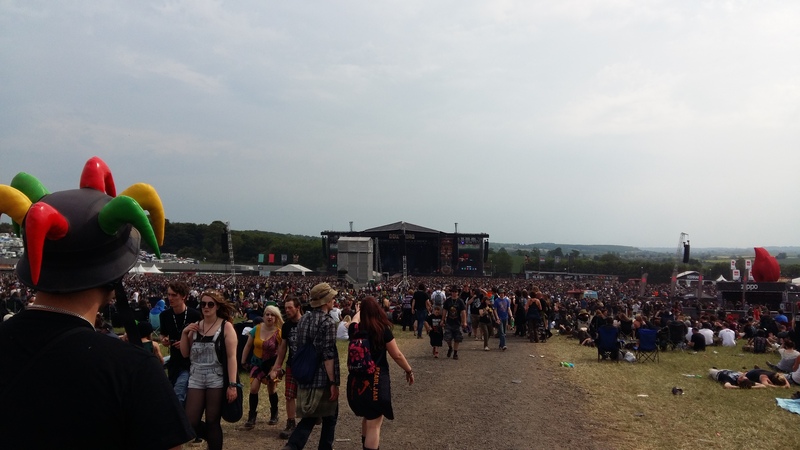 Obviously I’m gutted not to be seeing them – it was going to be a great day out, hopefully in the sun, with friends. The support acts of Iggy Pop and Royal Blood were bands I was really looking forward to seeing (having never seen either before). 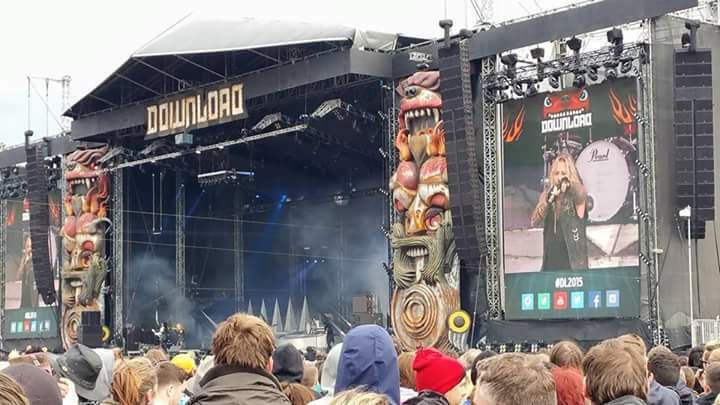 I’ve never been to a gig at Wembley, and the only time I’ve ever seen the Foos I was up in the gods at the O2 arena – literally 2 rows from the very very back, so I was looking forward to getting more up close and personal. 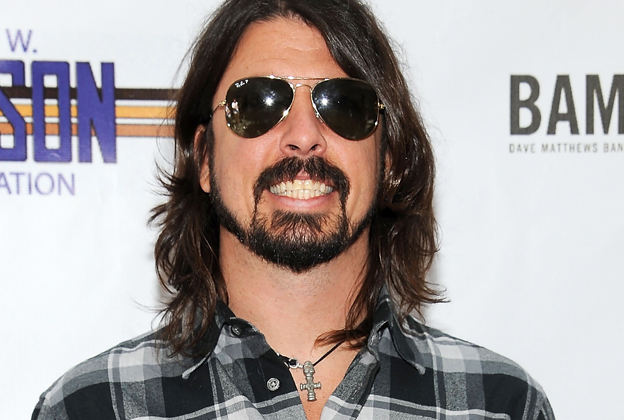 BUT Dave Grohl is a performer, a rockstar, and delivering a set from the confines of a wheelchair just isn’t him. He wouldn’t be enjoying it, the crowd wouldn’t enjoy it as much (despite what people are saying) and the band wouldn’t have that same interaction. 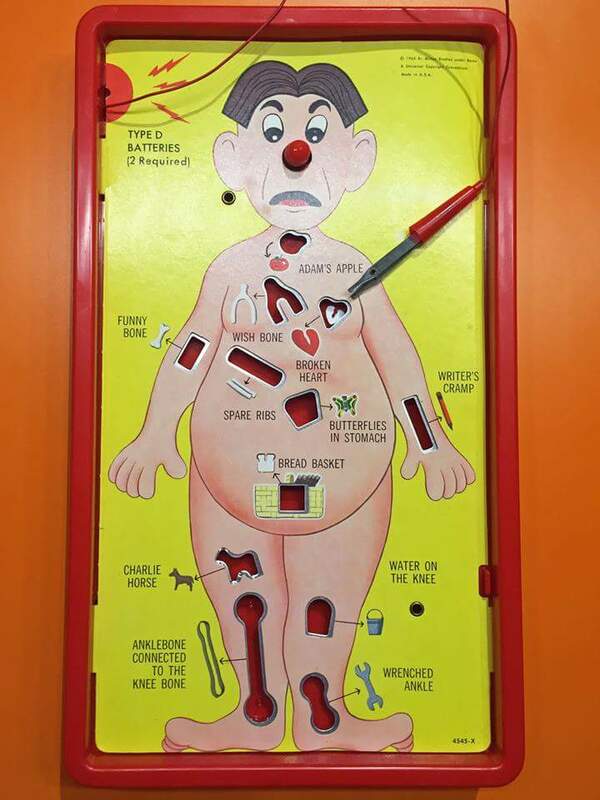 Plus, Dave’s future health and wellbeing has to be priority. No point struggling on and doing himself more damage. I think that cancelling all of the UK dates is the right thing to do. He couldn’t pick and choose one or two. Being as I currently still feel rough post-Download (whether I actually have a touch of illness or the worst hangover ever isn’t clear, although lack of appetite suggests the former, as I’m usually ALWAYS hungry!) it’s not the end of the world for me (remind me of that on Saturday!). The thought of a lie in at the weekend is all that’s keeping me going, and it also means I get to spend Father’s Day on Sunday with my Dad. Financially I could do without the spends, as Download was very expensive. At least I’m not out of pocket. The hotel we had booked has a 24 hour cancellation fee, and a friend of ours was driving, so no train tickets booked. I might have had a very different opinion if it was going to cost me money! I’m sure the dates will be rearranged, rather than completely cancelled, and I can only hope that the support acts can still support, and it’s still a Saturday and I can still make it. We’ll see what happens. 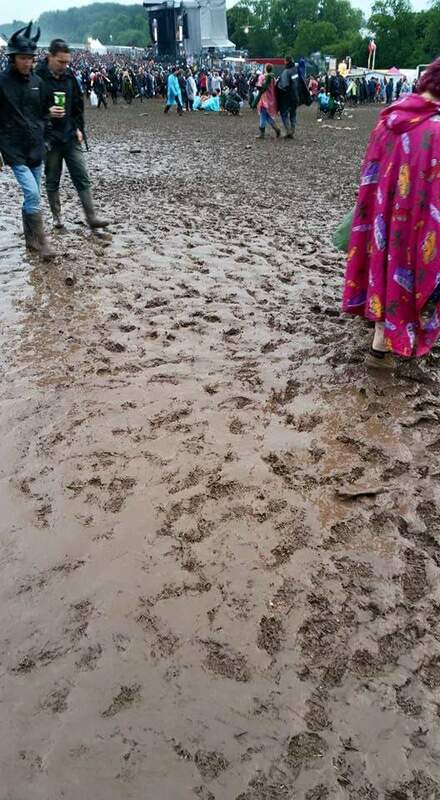 Perhaps I was optimistic thinking I could do two weekends in a row. I’ll be even more excited by the time they do reschedule! Yet again proving himself to be the nicest man in rock, here was Dave’s message to the fans (accessed by clicking on the “broken heart” on a picture of Operation). You can’t be mad about that. Well, you can, but a) it would be pointless, and b) he’s hardly done it on purpose! Let’s have some cool pics of Dave and the band to finish off with.